Mr. Charles Glenwood Hawley, 77, of Erwin, died Wednesday, August 15, 2018, at Betsy Johnson Hospital in Dunn. Mr. Hawley was born February 15, 1941 in Harnett County to the late Willes Preston & Mattie Haire Hawley. He was preceded in death by a sister, Dorothy Hawley Wrench. Mr. Hawley worked at Erwin Mills for 13 years and Goodyear Tire for 27 years before retiring in 1999. 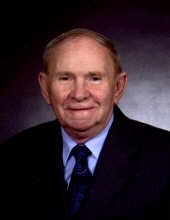 Mr. Hawley loved to fish and garden, especially with his grandchildren. He also enjoyed racing. A funeral service will be held at 2 p.m. Saturday, August 18, 2018, at First Baptist Church of Erwin with Rev. Thomas Greene officiating. Burial will follow in Erwin Memorial Park. Mr. Hawley is survived by his wife of 55 years, Jane Eanes Hawley; son, Steven Hawley of Erwin; daughter, Meredith Garwood & husband, John, of Charlotte; and grandchildren, Johnathon and Anna Garwood. Visitation will be held Friday, August 17, 2018, from 6 to 8 p.m. at Skinner & Smith Funeral Home in Dunn. Memorials may be made to the Charles Glenwood Hawley Scholarship Fund, Kenan-Flagler Business School, UNC Chapel Hill, 300 Kenan Center Drive, Chapel Hill, NC 27599, or to First Baptist Church of Erwin, 300 S. 12th Street, Erwin, NC 28339. To send flowers or a remembrance gift to the family of Charles Glenwood Hawley, please visit our Tribute Store. "Email Address" would like to share the life celebration of Charles Glenwood Hawley. Click on the "link" to go to share a favorite memory or leave a condolence message for the family.